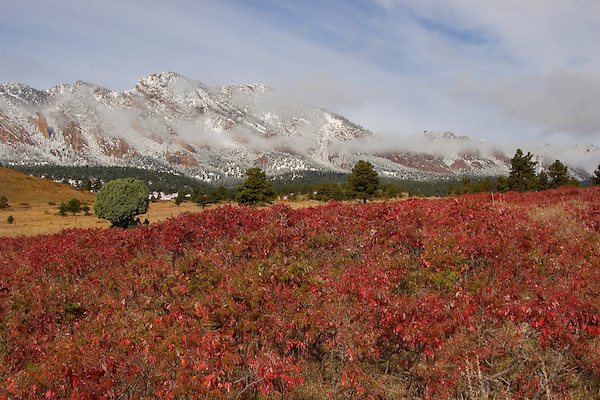 Sumac foliage and Flatirons rock formation in autumn snow, Boulder. Outside imagery offers Boulder photo tours and Boulder hikes. Colorado tours year-round. Rocky Mountain National Park tours.